Hedlund, Jody. 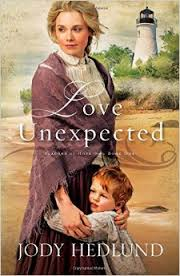 Love Unexpected: Beacons of Hope-Book One. Grand Rapids, MI: Bethany House Publishers. 2014. Colwell, Cheryl. 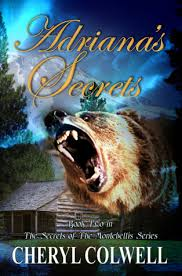 Adriana’s Secrets: The Secrets of The Montebellis Series- Book 2. Ashland, OR: Inspired Fiction Books Publishing. 2014. Fabry, Chris. The Song. USA: Tyndale House Publishers/ City On A Hill Studio. 2014. Son of the famous singer, David King, Jedidiah King has big shoes to fill. Though legendary with his songs and performances, other parts of his father’s life were not so authentic. Meeting Rose while writing an intensely charged song, Jed soon finds himself thrown into stardom, unfortunately, including all the negative temptations too. Full of success, romance, faith, infidelity, temptations, grace as well as mercy, The Song explores an emotionally difficult subject. 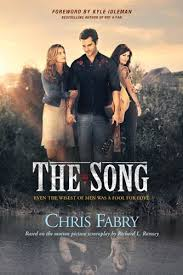 Originally developed as a movie (by Richard L. Ramsey) and church resource, The Song was then written as a novel by Chris Fabry, an award-winning author, so even more people could experience the Scripture. Based as a modern adaptation of Solomon’s life through Song of Songs and the book of Ecclesiastes, The Song teaches (faith, grace, mercy, forgiveness) while showing the temptations of the world against marriage (adultery, dishonesty, irresponsibility). Though blunt in areas, the novel deals with a challenging issue in an exceptional manner. 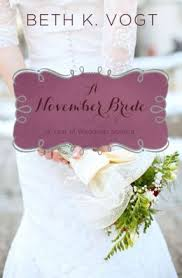 Complete with discussion questions and a couple’s Bible Study at the end of the book, The Song would work well for small group discussions, a couple’s Bible Study, marriage counseling or ministry. Entertaining yet so full of life and faith lessons. I definitely plan on sharing my thoughts on this book with many others! Merritt, Bob. 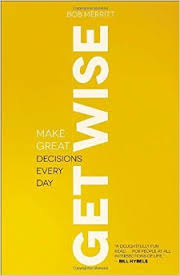 Get Wise: Make Great Decisions Every Day. Grand Rapids, MI: Baker Books. 2014. Wisdom is often something learned- either through our own trail-and-errors or those of someone else. Having learned from his own experiences (including both good and bad decisions), Bob Merritt openly reiterates those lessons gained to help others make informed decisions which ultimately will affect directions of life. Not claiming to be an expert though, Get Wise takes the words of wisdom and bases them on the Proverbs. I most appreciated the pearls shared on relationships, character and success. Highly relevant in today’s society, this book would work well as a Bible Study, a graduation gift, or personal reading. Why not learn from someone’s wisdom to make your own life better? Miles, Tracie. Your Life Still Counts: How God Uses Your Past to Create a Beautiful Future. Minneapolis, MN: Bethany House Publishers. 2014. Though shame and regret often are allowed to define people, Tracie Miles sets out to show how a person’s past can be part of a beautiful future when healing and grace are received. Using the past to shape the future, God has a purpose for each that depends on history, decisions, choices and forgiveness. 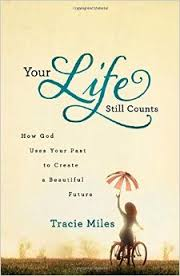 Full of many personal stories, thoughts to ponder and tons of encouragement, Your Life Still Counts provides the reasons to live life as designed by God. With many shared stories from many different people, Tracie Miles also shares her own hard past. Using examples, purpose ponderings (questions to consider), scripture and explanations of God’s plan for each, the author promotes forgiveness, healing, direction and redemption to be used to reach out and minister to others to find the same. Though not always an easy read in terms of information, Your Life Still Counts would be wonderful as a Bible Study, Women’s Group or an Outreach Ministry. I appreciated the honesty with which the author wrote; I appreciated the honest message which she shared. Cohen, Jennifer and Colino, Stacey. Strong Is The New Skinny: How to Eat, Live, and Move to Maximize Your Power. New York: Harmony Books/ Random House Publishing. 2014. Be prepared to be amazed (as well as sore, tired, yet so proud)! I truly appreciated the overall message in this book…anyone is capable of being strong, healthy, challenged and successful…at any age, fitness level and size. Starting with a reality check, pursuing self-goals, working diligently, persevering and applauding success, authors Jen Cohen and Stacey Colino provide the necessary head-work, exercises, techniques and tips, and well placed motivation to help realize strong is not the same as skinny. With pictures for examples (just as a side note…some may find the pictures not as conservative as they may like), challenge variations and sample workouts, Strong Is The New Skinny is like a Personal Trainer! With a list of exercises at the back of the book, I was able to access each exercise easily on my eReader for reference at the gym. Be ready to change your focus, thought-process, strength and abilities with this book! Strong is healthy!! Burton, Valerie. 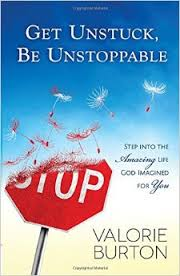 Get Unstuck, Be Unstoppable: Step Into The Amazing Life God Imagined For You. Eugene, OR: Harvest House Publishers. 2014. Like a wonderful conversation with a best friend, Get Unstuck, Be Unstoppable is brimming with encouragement to live life to the fullest, no matter where you might have been. From unclogging your past, to changing your present attitude, to reaching for your dreams, Valerie Burton coaches you to be your best…just the way God intended. So upbeat, so inspirational, so necessary…Valerie Burton gently encourages yet delivers a well-placed nudge to take control and live a healthy, happy life. Set up in chapters full of thought-provoking messages (commit or quit, don’t let stuff control you, drop the toxic friendships), each chapter also provides areas in which to journal, jot notes and share comments. Having never read one of her books, Valerie Burton will now be on my must-read list as well as my to-share list. With such optimism and reassurance included, failing to get unstuck and be unstoppable would be almost impossible. Yalian, Elizabeth. 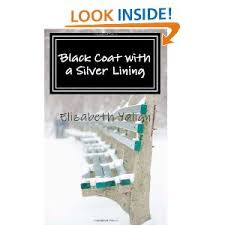 Black Coat With A Silver Lining: A Homeless Man Finds Hope. CreateSpace Publishing. 2014. I must admit this is not my usual genre of books yet I found it to be truly thought-provoking, humbling, educational and well-written. Drawing attention to an often overlooked and ignored issue of homelessness, Elizabeth Yalian takes a sensitive approach through a page- turning fictional piece to make the reader consider it. This book may work well for a church ministry group or even an introduction to a Bible study and/ or mission. Elizabeth, thank-you for sharing your book with me as well as your compassion. Vander Klok, Duane. 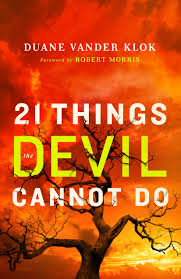 21 Things The Devil Cannot Do. Minneapolis, MN: Chosen Publishing. 2014. Interestingly, many aspects of Satan can be learned, applied and taken control over if you choose to have power over him. Citing the Spiritual Laws set forth by God, Pastor Duane Vander Klok explains these Laws cannot be bent, broken nor touched. Many examples are included in the book (the devil cannot trespass unless you allow it, the devil cannot hide from the Word of God in you). Being actually a weak spirit, Satan is often given too much credit and validity. I learned quite a bit from this easy to read yet in depth book packed full of information about the devil and sin. Powerful!